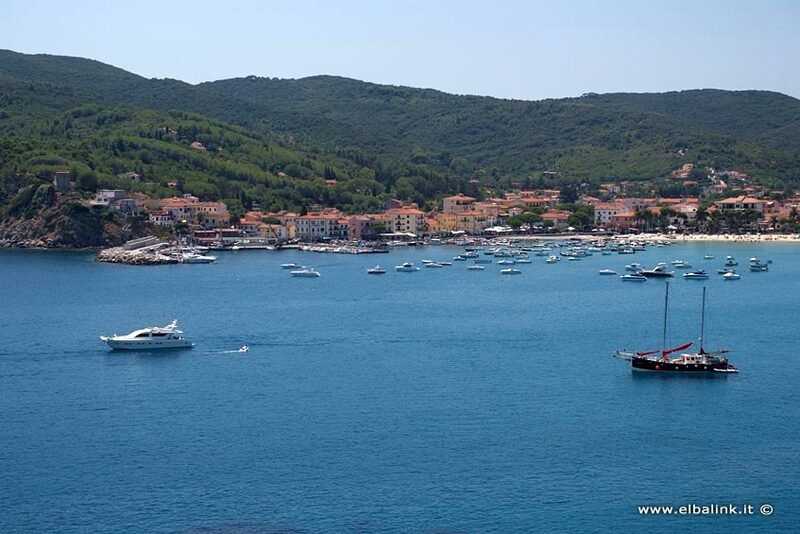 Marina di Campo: in the past Marina di Campo was a small fishing village, part of the commune of Campo nell'Elba. 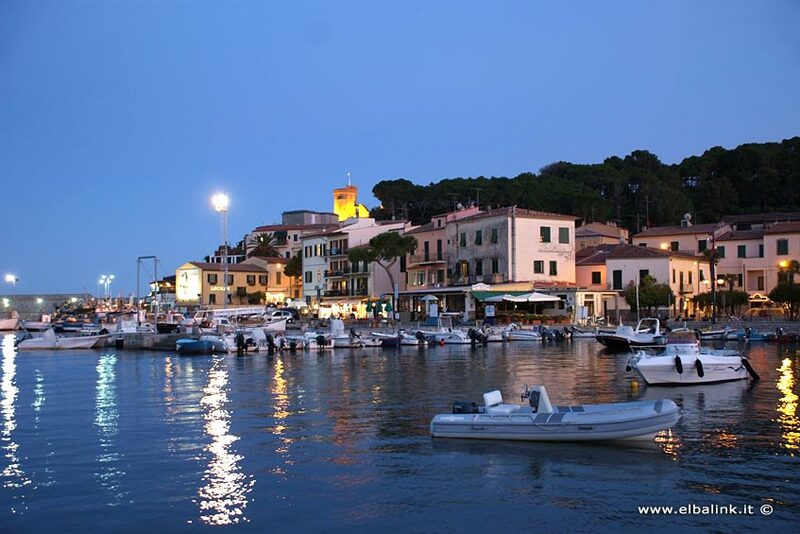 Although Campo nell'Elba became independant from Marciana Marina in 1894, it has maintained the local coat of arms (the tower), reminding us of these ancient times. 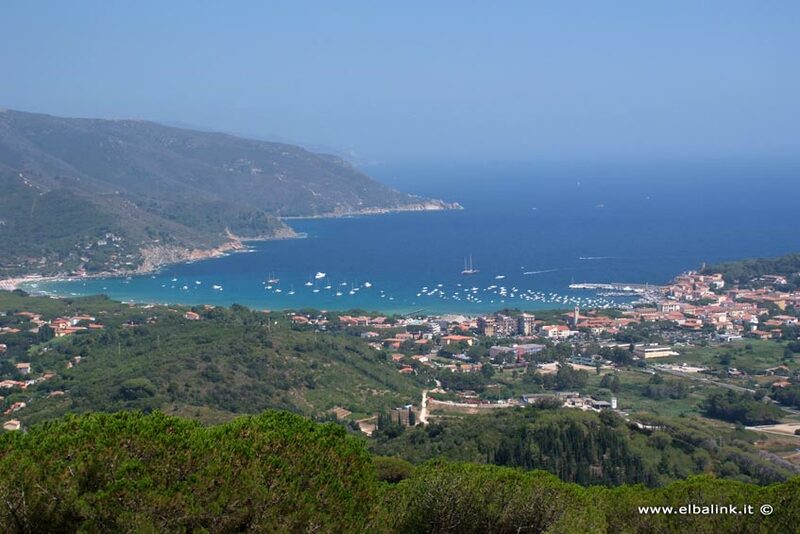 Thanks to its long and sandy beach, (2 km), tourism has developed here faster than in other villages of Elba and today Marina di Campo is the main tourist town on the island. La Torre: built during the Pisan period (12th. Century AD), the tower stands on a rock at the end of the village and dominates the whole gulf. The Tower of San Giovanni (12th. Century AD), recently renovated, it dominates the whole gulf of Marina di Campo. The tower was an observation outpost against invaders. The church of San Nicolò in San Piero in Campo. Many people say this church was built on the ruins of a Roman temple dedicated to the god Glauco. The church of San Francesco in Sant'Ilario, in the beautiful village square. 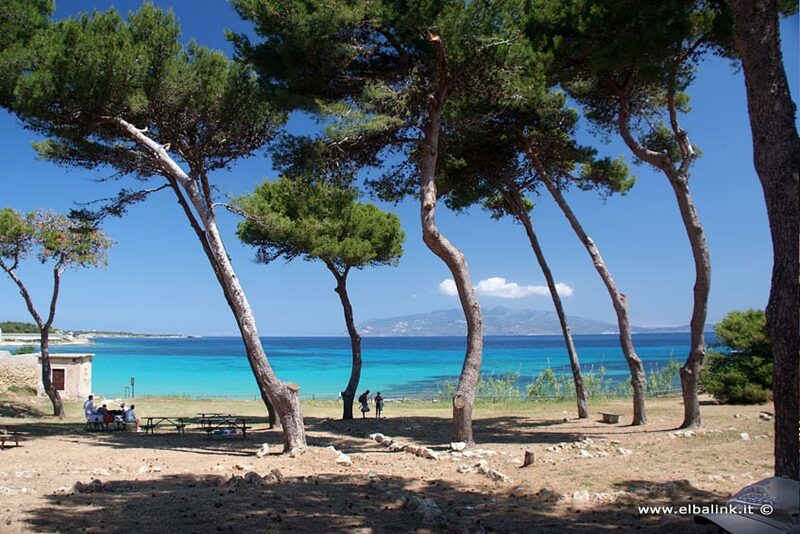 Pianosa: an important part of the Tuscan Archipelago National Park, this small island on the south west of Marina di Campo was once famous as a prison island; today only a limited number of people may go there. Since access was not allowed for many years, the vegetation on the island and the sea around it are still untouched by man. During the summer, you can go on daily boat trips to Pianosa; there are guided excursions partly on foot and partly by minibus, or, if you prefer, you can go round it by kayak, mountain bike or diving. 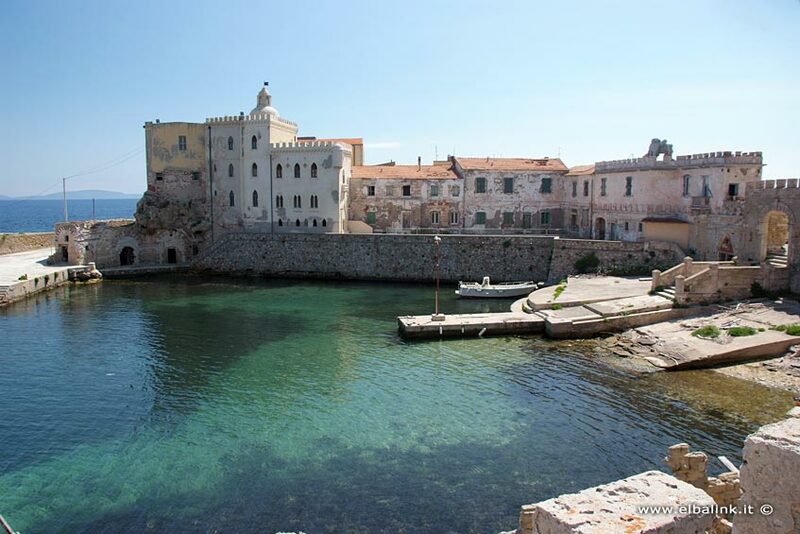 The chance of admiring the Roman port, the tiny village, the Agrippa Villa and the catacombs that date back to Roman times make a trip to the Island more than worthwhile, not forgetting the grottos inhabited in prehistoric times, the ancient spring, and the beautiful beaches with their crystal clear water. 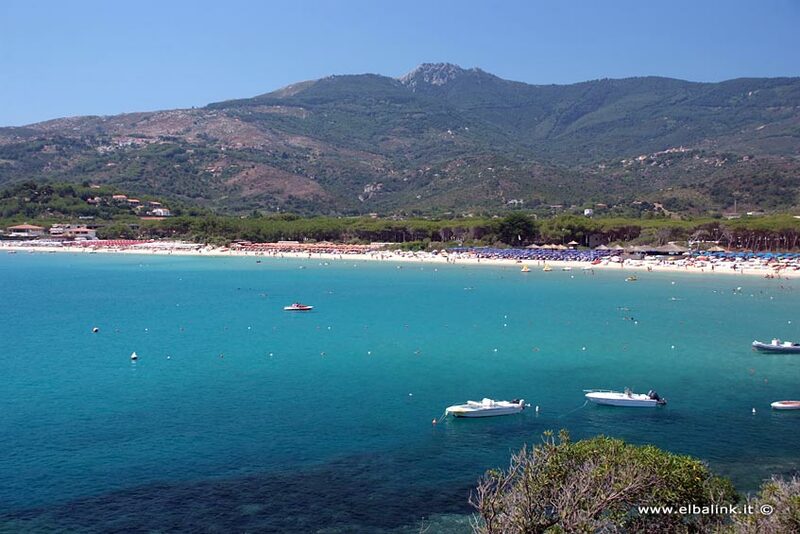 And at the end of your trip there is always some time for a swim in Cala Giovanna.